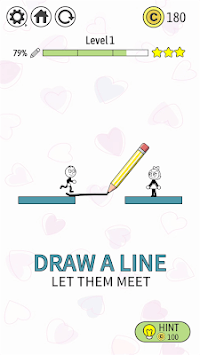 《Flipped!》is a Micro plot game for boys to pursue girls, At the same time, it is a puzzle casual draw lines game. 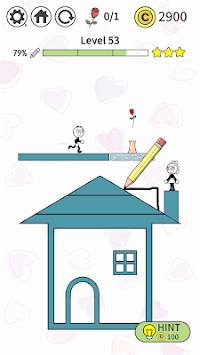 The rules of the game are simple.Players only need to draw simple lines or shapes on the screen to let the boy reach the girl. Halfway through, maybe the boy needs the props to get help, to make the girl happy. The answer to the level varies from person to person. The bigger the brain, the more answers there are.